Greek Olive oil : Acidity 0,1 - 0,5% VARIETY "KORONEIKI" OLIVES ORIGIN: Mountains of Peloponnese Region / GREECE Extra Virgin Olive Oil 60ml.glass bottle Extra Virgin Olive Oil 250ml.glass bottle Extra Virgin Olive Oil 500ml. glass bottle Extra Virgin Olive Oil 500ml. PET bottle Extra Virgin Olive Oil 750ml. glass bottle Extra Virgin Olive Oil 1 Litre glass bottle Extra Virgin Olive Oil 1 Litre Tin Extra Virgin Olive Oil 1 Litre PET bottle Extra Virgin Olive Oil 3 Lit. Metallic Tin Can Extra Virgin Olive Oil 5 Lit. Metallic Tin Can Extra Virgin Olive Oil 5 Lit. PET Olive Pomace Oil 1 Litre PET bottle Olive Pomace Oil 5 Litre PET bottle Virgin Olive Oil 500ml. PET Virgin Olive Oil 1 Litre PET Virgin Olive Oil 5 Lit. PET Excellent Variety of Olives. This Olive variety is very famous around the World with many awards for the excellent quality olive oil they can produce and can be found only in Greece. The content of fruit in oil reaches up to 27%. It has small fruits and is used exclusively for the production of olive oil of high quality. 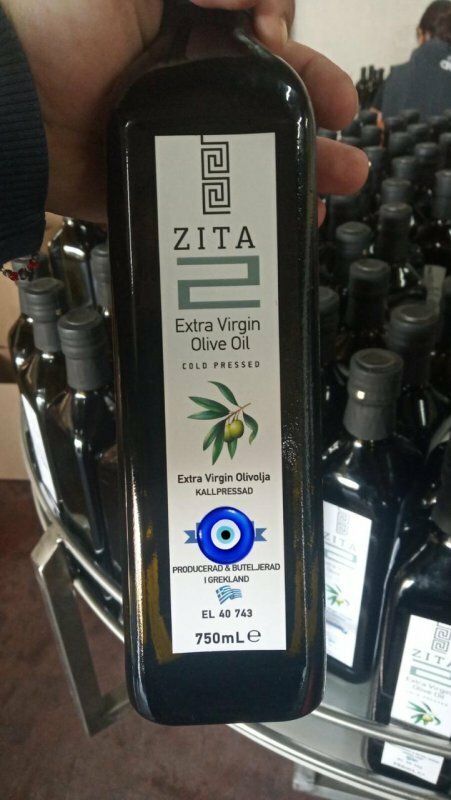 Απίστευτη τιμή για EXTRA VIRGIN OLIVE OIL σε Άργος (Ελλάδα) από την εταιρία ZanGostar Ltd..